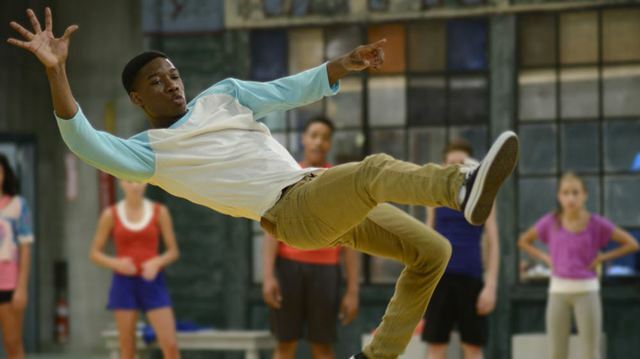 Lamar Johnson, star of the BAFTA Award-winning Canadian show The Next Step, has joined the cast of the upcoming film X-Men: Dark Phoenix, according to THR. In addition, Evan Peters, who played the popular Quicksilver in the earlier films, has been confirmed to return. No word about whether or not he’ll get a big slow-motion scene, and Lamar Johnson’s character is being kept under wraps for the time being. RELATED: Dazzler Confirmed for X-Men: Dark Phoenix! Longtime X-Men series writer and producer Simon Kinberg will write and direct X-Men: Dark Phoenix, which will bring back the cast of X-Men: Apocalypse, including Michael Fassbender (Magneto), Jennifer Lawrence (Mystique), Nicholas Hoult (Beast), Alexandra Shipp (Storm), Tye Sheridan (Cyclops), and Kodi Smit-McPhee (Nightcrawler). Actress Jessica Chastain will play the villain of the film, Lilandra. An empress of the Shi’ar Empire, Lilandra leads an alien race that is in search of and eager to eradicate the Phoenix Force. Sophie Turner will reprise her role as Jean Grey in the film, the host of the Phoenix Force and subject of the Shi’ar’s search. Kinberg will also produce the film alongside Lauren Shuler Donner and Hutch Parker. X-Men: Dark Phoenix is set to open in theaters on November 2, 2018. Kinberg previously confirmed that the next X-Men movie would jump ahead ten years from Apocalypse, offering a 1990s setting for the sequel. The X-Men comics saw a commercial boom during the ’90s, following character redesigns by Jim Lee, which went on to be the basis for the fan-favorite animated series. 2018 is set to be a banner year for the X-Universe as Dark Phoenix will cap off the year following Josh Boone‘s New Mutants on April 13, 2018 and Deadpool 2 on June 1, 2018. What do you guys think about Lamar Johnson being cast in the film? Are you excited for Quicksilver’s return? Let us know in the comments.